Performed inside of a 17-ft box truck, Bridgman | Packer Dance’s Truck brings performance to unusual locations. 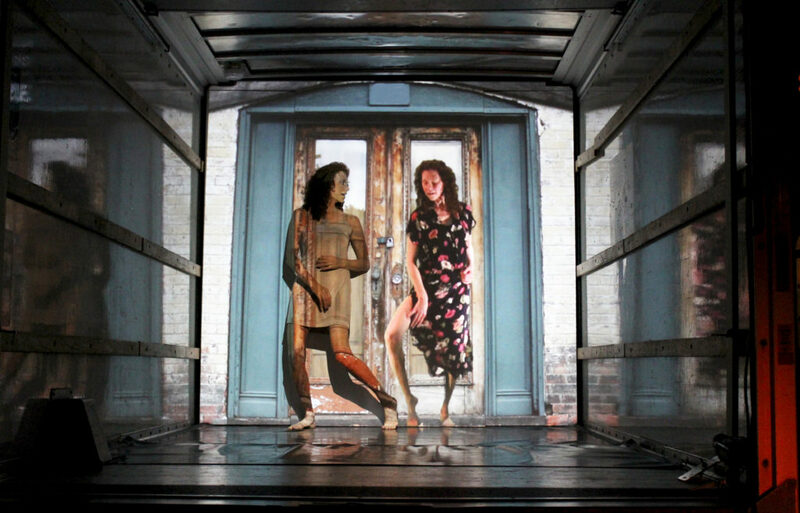 Through their signature integration of live dance performance and video technology, an ordinary box truck evolves from the utilitarian into a re-imagined space, a micro-world of magical visions and transformation. With constant shifts of context and scale, startling imagery emerges; a house of a thousand rooms, an aquarium, and a leafy hideaway come alive.